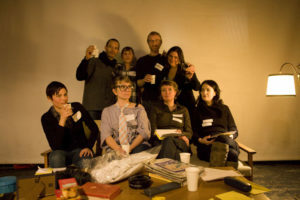 Family to Nation is a role-playing game that addresses social power structures. 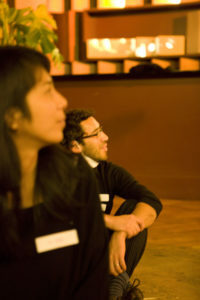 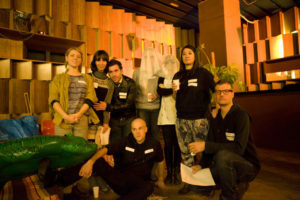 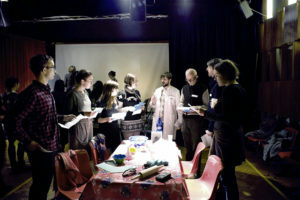 This performance – organized as a kind of role playing game with a group of participants – examines power relations and how different forms of authority undermine the ‘family’ and the ‘nation’ by using a series of short plays inspired by the techniques of pedagogue Paulo Freire and dramatist Agusto Boal’s Theater of the Oppressed. The forty-two audience members who are present become the characters of a family drama by referring to instructions given to them by the artists. 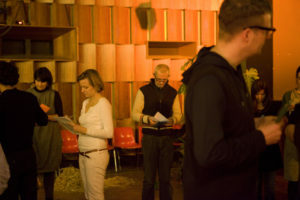 Each short scene is performed in a fictional kitchen, living room, bedroom and garden. 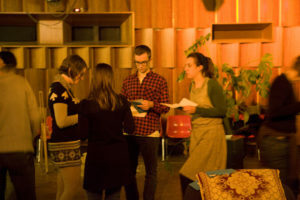 The scenarios explore comic drama storylines, such as when a conservative family is put to the test by the arrival of an immigrant au pair. 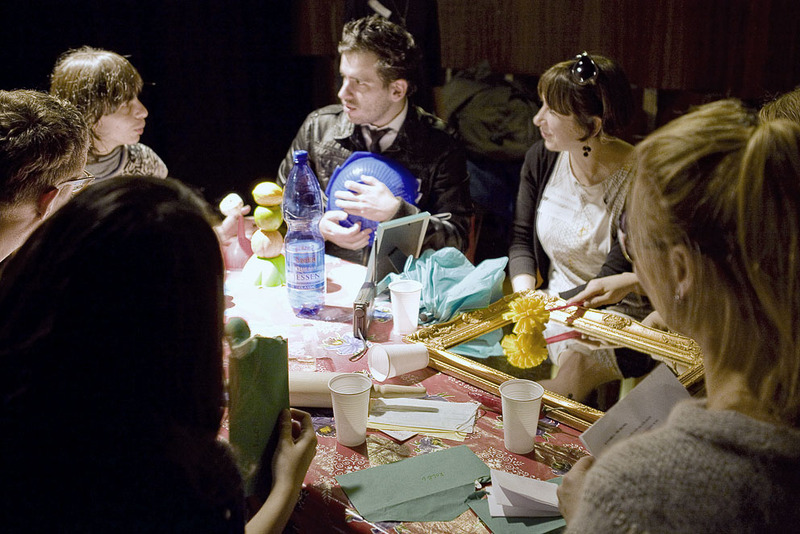 The plays create opportunities to reflect on the relationship between fiction and reality, group behaviors, and conflict resolution skills. 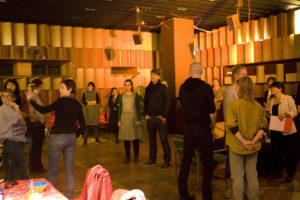 In collaboration with the audience participants, the performance also includes participation from a psychologist (Dr. Roman Snihurowych, Charité Hospital) and a sociologist (Prof. Gökçe Yurdakul, Humboldt University), both of whom analyze and modify the individual scenes. 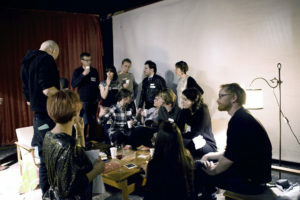 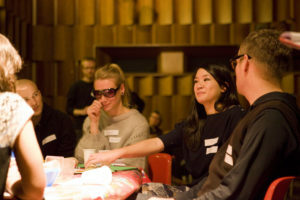 Kim Einarsson (director, Konsthall C) moderates the discussions that follow the performance, during which the participants/performers are asked to reflect on their experiences during the role-playing game experiment. 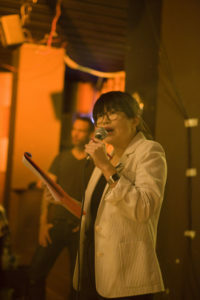 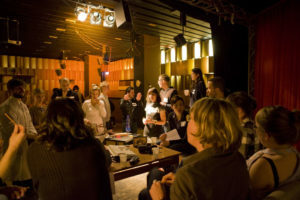 Performers and moderators are encouraged to discuss topics including the role of the audience in performance, the modalities of participation, and the possible social function(s) of art. 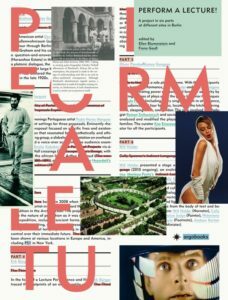 A publication documenting the performance, as well as 5 other events on performance lectures, is available from argobooks (Berlin, Germany, 2011), edited by Ellen Blumenstein and Fiona Geuss. 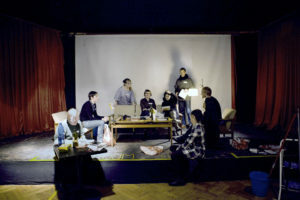 Contributors: Ulf Aminde, Eric de Bryn, Helmut Draxler, Felix Ensslin, Christoph Gurk, Dorothea von Hantelmann, Clemens Krümmel, Solvej Helweg Ovesen, Dieter Roelstraete. 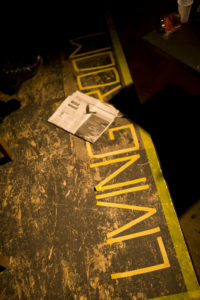 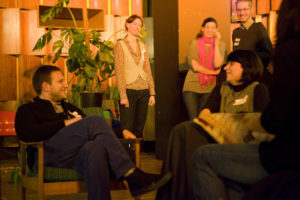 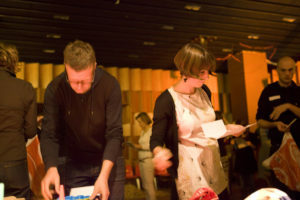 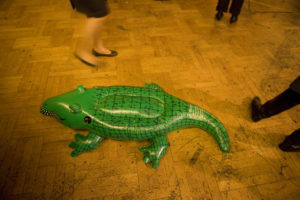 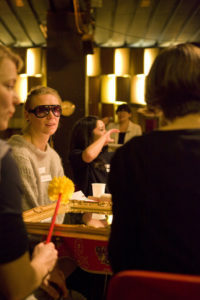 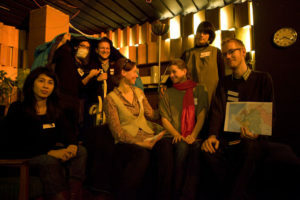 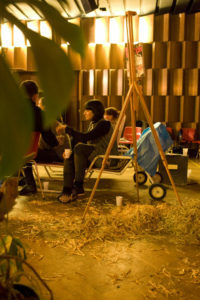 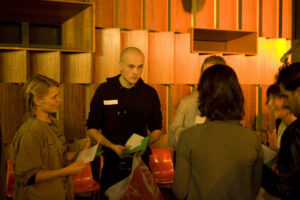 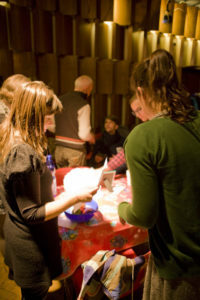 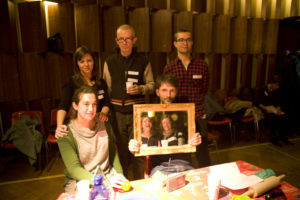 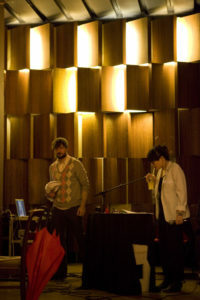 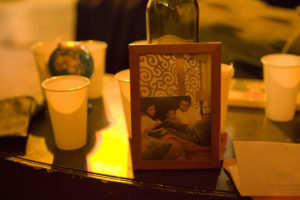 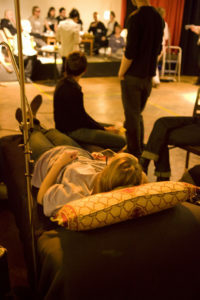 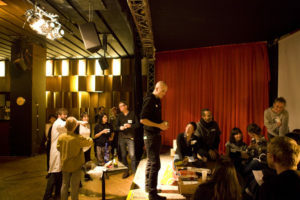 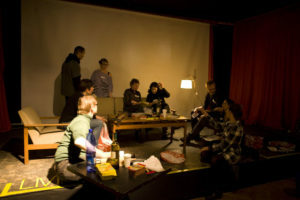 Family to Nation was presented at the .HBC (Berlin, DE) on November 10, 2010, 7-10 pm. 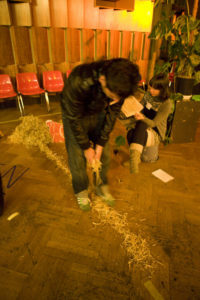 The project was part of Perform a Lecture! 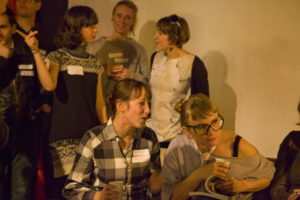 a series of 6 events on performance lectures curated by Ellen Blumenstein and Fiona Geuss with the support of the Capital Cultural Fund.